Ettinger Law Firm, with over twenty years practicing elder law estate planning, serves Queens County residents from its office located at 5 Penn Plaza in New York City. “Elder Law Estate Planning” is a niche area that combines features of both areas of law that pertain most to the needs of the middle class. The New York estate planning elder law attorneys and paralegals at Ettinger Law Firm welcome clients from Rockaway Beach, Woodside, Long Island City, Astoria, Maspeth, Jackson Heights, Elmhurst, Corona, Flushing, Floral Park and many other Queens neighborhoods. Recently a trend has developed in which clients who originally came in for estate planning services now come into our Manhattan office for New York elder law assistance. The current economic climate has necessitated for many people to reevaluate how they will afford long term care costs. A free consultation can help to decide whether or not certain techniques, like “spousal refusal” or “gift and loan strategies” can protect hard won assets, even when a nursing home is imminent. Experienced attorneys and professionals may also be required for assisting in the difficult and cumbersome application process for Medicaid benefits that help pay for elder care. We welcome Queens County residents to our free New York elder law estate planning dinner-seminars. Please see our seminar schedule for more information and to sign up. Seniors, aged 65 and older, make up 13% of Queens 2.2 million population estimates. This percentage continues to grow. For more information on senior services in your neighborhood, please visit Queens Office of the Aging. 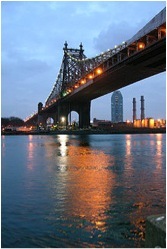 Queens has become a destination for both cultural and sports events. In the 1940s, it was an important center of jazz – greats like Louis Armstrong, Count Bassie and Ella Fitzgerald found refuge from segregation in the mixed communities of the borough. Queens is now a center for rap and hip-hop artists including Run D.M.C. and LL Cool J. Folk duo Simon and Garfunkel were raised in Queens. Queens is also becoming a place to visit for the arts – including the Sculpture Center, Noguchi Museum and Fisher Landau Center. Citi Field, US Open Arthur Ashe Stadium, and the Aqueduct Racetrack also attract many people wishing to enjoy watching a Mets game, tennis or horse racing.